Toxie is about to get a makeover for the 21st century. 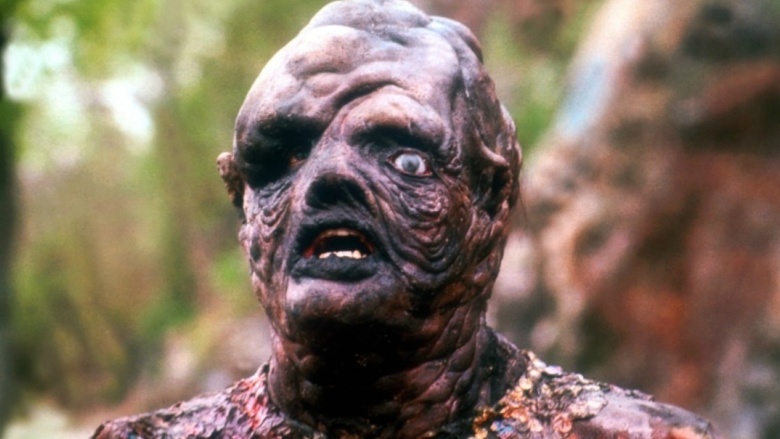 Deadline reports Sausage Party co-director Conrad Vernon has signed on to helm a remake of Troma's 1984 cult classic The Toxic Avenger. The reboot will be based on a script by Archer writers Mike Arnold and Chris Poole, while Lloyd Kaufman and Michael Herz of Troma Films, creators of the original franchise, will executive produce. The update will reportedly feature a more "grounded and mainstream" telling of the campy, low-budget original about a New Jersey teenager who turns into a mutant superhero after falling into toxic waste. Vernon told Deadline he's thrilled to bring Toxie back. "The opportunity to re-imagine a favorite cult-classic from my high school years is an honor," he said. "Toxie is an underground icon. My favorite kind." While we wait for more details, check out a few strange superhero movies you may not know exist.